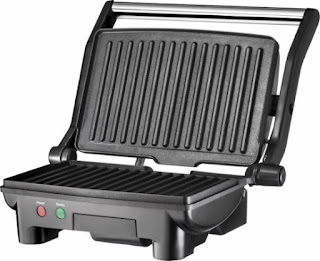 Best Buy is offering this Chefman - Grill + Panini Press $24.99 (Retail $49.99). Prepare delicious meals on your countertop with this Chefman grill. Its lid has a floating hinge that can open 180 degrees to grill both tall hamburgers and thick steaks, and it can also be laid flat to cook fish or vegetables. This Chefman grill has a nonstick coating and comes with a drip tray for convenience.